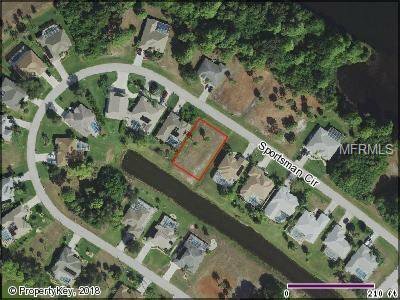 Canal front lot located in the Broadmoor section of Rotonda West! This is a great location to build your Florida dream home! Rotonda West is a well established and deed restricted community with golf courses galore, a community park & playground, tennis courts, plenty of sidewalks for walking and biking, public water & sewer available and located in close proximity to Boca Grande & Englewood beaches, restaurants and shopping! Now is the perfect time to buy! Call today!